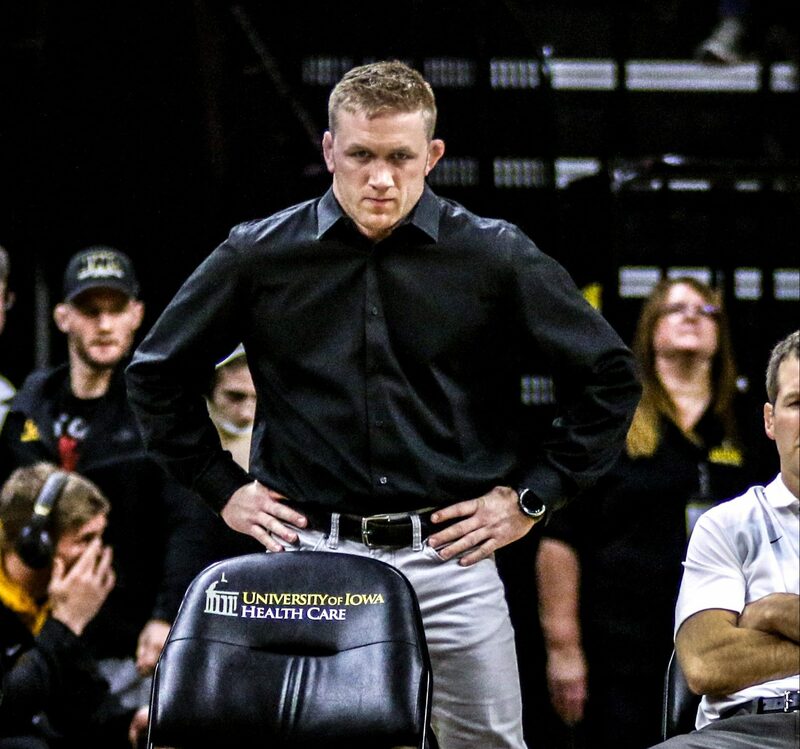 This past weekend Iowa Hawkeye assistant coach Ryan Morningstar appeared on the nationally broadcast Takedown Radio to catch up with our own Tony Hager and more on the state of the Hawkeye program. It should be noted that Morningstar’s comments came prior to his team’s dual with Minnesota, in which the Hawkeyes walked away with a 24-10 victory. Among the topics of particular interest related to Iowa lightweight Austin DeSanto. 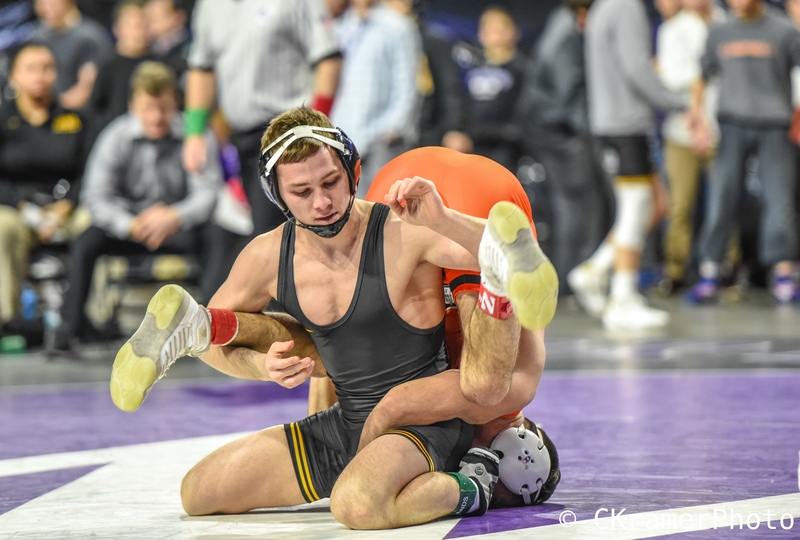 The segment with the Hawkeye coach actually kicked off with DeSanto, with the show host comparing DeSanto to Thomas Gilman. The latter was an All-American for the Hawkeyes, but maybe more importantly played a big role in the identity of his team that he competed on. Gilman was especially viewed a “wrestling heel”, or in other terms a villain that opposing fans love to hate. That bad rap comes from the days before DeSanto wrestled for Iowa, last season at Drexel. In a match at the NCAA tournament DeSanto attempted a move against his opponent, Stevan Micic of Michigan, known as the Kimura, which is a Brazilian Jiu Jitsu move. The hold is considered especially dangerous as it can lead to injury. However in listening to Morningstar’s discussion with DeSanto on the move that took place last March, we can glean a little more perspective on what was going through DeSanto’s mind when he was attempting the move. After finishing his freshman year at Drexel DeSanto sought out a new home to finish his college career, eventually landing in Iowa City where he really bonded with the culture, staff, and team. Morningstar added that since DeSanto has joined the program he has quickly become one of their own and his passion is welcomed by the rest of the wrestlers on the team. One wrestler in particular DeSanto has bonded with is his fellow Pennsylvania native Spencer Lee. Morningstar compared their relationship to that of their predecessors Gilman and Cory Clark. Another topic that came up focused on Lee and his Midlands finals loss to Sebastian Rivera of Northwestern. The loss was the first for Lee on the year, and the first since he lost to Nathan Tomasello of Ohio State in the Big Ten finals. Morningstar mentioned that his wrestler will learn from that loss and make the necessary adjustments going forward. On his final thoughts regarding the team the Hawkeye assistant said that Iowa’s best wrestling is still ahead of them, and right now the goal is mirror last year’s team, who were able to put together a fantastic run at the NCAA tournament to place third. January 15, 2019 in Iowa Hawkeyes. Sten, you seem to be a glass half empty type. Top 5 or above and that’s not hopefulness.